Webinars Offer the Power of Learning -- Without Being There! The power of the Internet brings professional-strength training as close as your telephone using the latest in audio conferencing. It's easy, affordable, and effective. 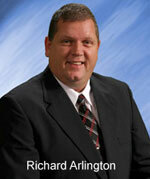 This WorldSweeper-sponsored tele-seminar will feature Richard Arlington, President of Rich Arlington and Associates. Mr. Arlington will provide background on the advancing trend of regional and national companies using 3rd party service providers. Mr. Arlington is the Business Manager for 3rd party service provider, Affiliated Grounds Maintenance Group, Inc., and was featured in WorldSweeper.com's December 2010 newsletter. In addition, Rich is President of Arlington Lawn Care, which provides a number of services including parking lot sweeping. Finally, as President of Rich Arlington & Associations, he is a nationally recognized consultant to the lawn care and snow removal industries. Richard Arlington will provide a brief background about the trend by regional and national chain stores to use national service providers (also called 'third party service aggregators'). He will discuss the value this type of system provides and what it means for service suppliers, such as sweeping contractors. Included will be his list of "do's and don'ts" when it comes to working with his and other service aggregators. Once his overview information is concluded Mr. Arlington will take questions from those listening, both via direct questioning and via email. For more information about Rich's work with Affiliated Grounds Maintenance Group, take a look at our feature story on the company done in December 2010 (opens into a new page). For more information about how our tele-seminars work, scroll to the bottom of this page or use this link to access our FAQ. "Rich is committed to helping contractors succeed. This commitment is reflected in his interest in educating contractors..."
"Rich Arlington has provided us with a wealth of information from his years of experience. He has helped us reword our contracts to reduce liability and has also showed us how to present ourselves to be more professional and more equipped to handle larger projects." "I met with Rich and his staff for a full day of consultation and I have to say I learned more about snow & ice management in that one day than I ever could have on my own. Rich tells it like it is and he helped me create some bidding systems that I literally put to use the next day!" If no, what email address will you be using when paying? Audio tele-seminar conferences are electronic meetings where participants call in from different locations and listen to a speaker, or group of speakers, who are experts in their topic areas. 3) employees are back at work immediately after the session ends. How does this WorldSweeper.com audio tele-seminar conference work? When you register for a conference, you receive an 800 number and a PIN number. About five minutes before the conference is to begin, you dial the 800 number. You'll be asked to enter the PIN number followed by the pound key. An operator will then patch you into the conference. Can others in my office listen in as well? Absolutely. The conference fee is for a single phone connection, and we recommend that all interested parties at a location listen in at once via speakerphone in a conference room. There's no additional cost. We believe this type of training conference is the most cost-effective form of professional education available on the market today. Is there a recording made for my later reference? After the tele-seminar, you will receive a link to the conference audio file. You may use this link to re-listen or as a way for others in your company who were not available during the live tele-seminar be able to access the information. Audio conferences are truly the 'next best thing' to being there when it comes to skills training and professional development. Once you try this type of learning, you'll find it to be the most cost-effective form of training available.